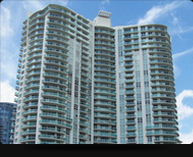 Las Olas Condos For Sale with MLS listings. 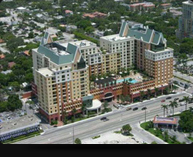 Las Olas Boulevard is known as the premier place to live or visit in Fort Lauderdale. Las Olas Blvd. has always been Fort Lauderdale's most charming thoroughfare and is at the forefront of everything from fashion boutiques and art galleries, to memorable restaurants, sidewalk cafes and clubs. Las Olas Boulevard is at the heart of downtown Fort Lauderdale with the fabulous New River coursing along nearby with its daily parade of majestic boats. Within a short walk from the Las OLas Condos are the Broward Center for the Performing Arts, Riverwalk and the Museum of Art. Luxury Condominiums have been germinating on both sides of the New River for the last few years. 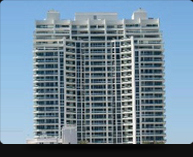 Links below include Las Olas Condos for sale. Las Olas Condos offer awesome views of the New River streaming thru Fort Lauderdale to the Ocean. Amenities of Las Olas condos include Heated Pools, Hot Tubs. Fitness Centers, Card Rooms, Party Rooms with full kitchen, and 24 hour security. 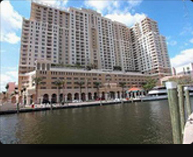 Fort Lauderdale has a magnificant River Walk where you can find many of the Las Olas Condos. 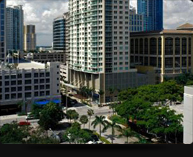 Visit Condos in Las Olas today and pick your building. 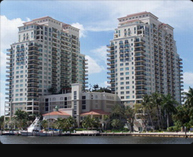 Las Olas Riverhouse is one of Fort Lauderdale's most prestigious additions to the local luxury condo market. It was completed in 2005 containing 280 condo residences and is believed to be the tallest residential structure between Fort Lauderdale and Atlanta. The Las Olas Riverhouse has 3 towers soaring 42 stories over the banks of the New River and it is thought to be one of the finest addresses in Fort Lauderdale. 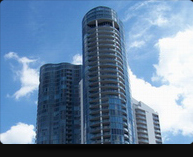 River House is a Landmark Condo on Las Olas Blvd. Las Olas Grand is a 38 story luxury condo completed in 2005 with stunning views of the New River, Intracoastal Waterway, Atlantic Ocean and the night time lights of Fort Lauderdale. The building contains 211 condo residences and resides one block from Las Olas Blvd along the banks of the New River. Las Olas Grand is considered to be one of the most luxurious condominiums on Las Olas BLvd in downtown Fort Lauderdale. The Water Garden is located just off Las Olas Blvd on the Banks of the New River. The Water Garden is a majestic 32 story luxury condo tower surrounded by 2 Acres of formal gardens and rippling fountains. The building contains 315 luxury condo residences and the largest pool and garden area of any new downtown condo. Las Olas Blvd condos are known throughout the world for there fabulous location along the New River and the everyday boat parade. A fabulous addition to Las OLas Blvd Condos. This radiating 30-story tower at 350 Las Olas will be home to only 163 residences, seven per floor. It has a Private rooftop pool and health club overlooking the City, Las Olas Blvd and the Atlantic Ocean. 350 Las Olas Place is the newest addition to Las Olas Luxury condos. Its located in the center of downtown Fort Lauderdale surrounded by the wonderful restaurants, shops, boutiques, and art galleries of Las Olas Blvd. Within a short walk is the Broward Theater for the Performing Arts and the Fort Lauderdale Art Museum. A fine Las Olas Blvd Condo. The Nu River Landing was completed in 2006 consisting of 409 condo residences, 30,000 Square feet of prime retail space and deep water boat slips available for residents to purchase. The building has a commanding presence over the New River. The sixth floor has wonderful lushly landscaped gardens and bubbling fountains. 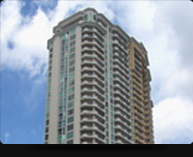 The building is situated for easy access to all Las Olas Blvd has to offer. One of the most irresistible aspects of Nu River Landing is the 25th floor clubroom and pool deck. Here you can gaze out over panoramic scenes in every direction with a wonderful view of the Ocean and the Fort Lauderdale skyline. A great addition to the Las Olas Blvd Condos. 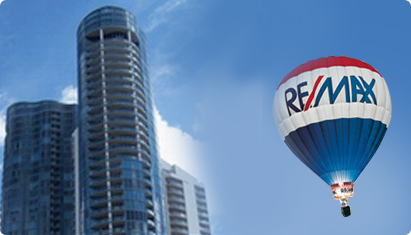 The Waverly at Las Olas is a 15 story tower offering 1,2 and 3 bedroom condos ranging from 700 to 1829 square feet. Waverly Condo owners enjoy a plethora of resort style amenities such as the 26,000 square foot paved sundeck with a heated pool, hot tub and cabanas. A short walk or trolley ride takes you the downtown heart of Fort Lauderdale, namely Las Olas Blvd. The Waverly Condos at Las Olas Blvd is truly in the center of Fort Lauderdale's Riverwalk, Art and Entertainment district. The Symphony was completed in 2006 on 2.5 acres of lushly landscaped grounds directly on the New River in Fort Lauderdale with a secure gated entrance. The address is 600 and 610 W Las Olas Blvd right across the street from the Broward Theatre for the Performing Arts. At the Doorstep of the Symphony begins the renowned Riverwalk District with its many art and entertainment facilities. The Symphony rises 29 stories over the New River offering wonderful River, Intracoastal, and City views. One of the Finest Las Olas Blvd Condos.